Treating Dairy Farm waste water - research study. The research team at the University of Queensland has developed an innovative process for low cost treatment of waste-water in agribusiness and dairy farm using environmental friendly reagents. By treating and reusing the water, the farmers can reduce the water levy and energy expense of pumping ground water and consequently reducing the cost and protecting key natural resource. The treatment train consist of traditional floatation process followed by a compact hydroxon process that can help to remove nutrients, organics and pathogens from the water and making it ready for reuse in the farm. The research team is seeking the participation of a medium to large dairy farm business with a daily water consumption of >20-25KL or herd size of >400-500, to provide a host site for technology testing. The test will be carried out for a period of 1 year inorder to examine the efficiency of the treatment process in all seasons. The test activity will be fully funded by the inventors of the technology together with a grant from the government. The dairy farm business will incur “zero” expense during the test period and the testing activities will not cause any kind of hindrances in daily activity of the farm business. The treated water will be freely available to the farming business for reuse. Farm invaders to be hit with swift enforcement action. Dairy farmers thank retailers for helping move the industry forward. Late yesterday afternoon, the Australian dairy industry rejoiced with the announcement from Coles and Aldi that they intended to remove $1/L milk across all stores from today. While we celebrated when Woolworths first announced the removal of $1 milk from its shelves, the dairy industry could not claim success until Coles, Australia’s second largest supermarket in terms of market share, also agreed. That Aldi followed closely behind is no surprise. “$1 milk is dead and gone and it’s time to move on. We’re looking forward to working closely with all retailers, processors and government to address the larger systemic issues within the dairy industry. Finding and implementing long term, sustainable structural reforms is our next goal. Getting there will need to be a concerted effort by all parties” said Mr Tessmann. “Having key political leaders including Agricultural Minister David Littleproud, Llew O’Brien and Matt Canavan keep the pressure on supermarkets throughout our campaign has been instrumental. Their continued support, and the support of all politicians, will be imperative to move the dairy industry forward” said Mr Tessmann. The battle to end $1 milk has been waged by various state and national dairy industry bodies since it was introduced just over 8 years ago. Until now, it has been easy for supermarkets to ignore the noise and whinging. “We have never said that a 10-cent increase was our end goal. It’s nowhere near enough. While all dairy farmers appreciate the goodwill of the Australian public in response to the drought, at the end of the day we can’t survive on charity and don’t want to. We simply want to get on with business and make sure that we can continue to provide Australians with fresh dairy produce” said Mr Tessmann. “That the statement by Coles implies that they want to play a leading role in making this happen is not just a good thing, but a great thing” said Mr Tessmann. In the News: Dollar milk ends as Coles, Aldi fold to pressure with pledge to raise prices by 10 cents a litre. Major retailers Coles and Aldi have increased the price of cheap milk in a bid to help struggling dairy farmers. The supermarkets have now commitment to return an extra 10 cents per litre direct to dairy farmers, mirroring a commitment from Woolworths last month. Chair of dairy cooperative Norco, Greg McNamara, one of two processors with contracts with Coles, said some of Coles' 10 cent increase may already be factored into a previous lift. "We started that process with Coles around two months ago, around trying to put a price increase through, so every customer took a price increase around 6.5 cents," he said. "Coles at that point chose not to raise the price and wear that themselves, which is quite kind of them really in one respect, and now they've come out and said we're going to change it and we're actually going to raise the price." Farmers said while milk is still cheaper today compared to in 2010, they hoped the change had "broken the back" of dollar milk which they claim has contributed to crippling the industry. Coles and Aldi both issued statements on Tuesday night announcing the price of two and three-litre home brand milk at their stores would increase by 10 cents per litre from March 20. Coles described the price increase as an interim measure, and Aldi said the price hike was a short-term solution. Both supermarkets said the proceeds would be passed on to dairy farmers. "This victory is a good start in the war against $1-a-litre milk," Mr Littleproud said. "I welcome this news and I encourage supermarkets and processors to spread this right across the dairy range." Coles chief executive Steven Cain said drought had compounded many of the difficult issues Australian dairy farmers are facing. Announcing the price increase, Mr Cain said the retailer was "continuing to explore long-term solutions with government and industry stakeholders" to help the dairy industry. "However, we know that many dairy farmers cannot wait for structural reform to be delivered so we are moving to provide relief right now," Mr Cain said. In a written statement, Aldi Australia spokesman Oliver Bongardt said the German retailer would work with dairy processors to support the long-term viability of the dairy industry. "Our decision to increase fresh milk prices has been reached in recognition of the significant issues currently impacting the dairy industry and the fact that broader government-led policy reform is unlikely to occur in the short term," Mr Bongardt said. Norco, which supplies Coles with milk for its home brand milk product with another processor, Saputo, had recently informed its suppliers of a 6.5 cents-a-litre increase in farmgate price from April 1 for three months. The Norco management team is meeting today to discuss Coles' 10 cent increase and to work through the details to determine what increase its suppliers would receive. Chair Greg McNamara said Coles had to be congratulated for finally deciding to lift prices of its home brand milk. "I think the biggest challenge for the industry is we should never go through this again, where we actually hold pricing at these levels and the consumer is actually taken to paying a reasonable price increase in one hit," he said. "It should be incremental just like wage increases." Norco supplies Coles with 70 million litres of milk per year, about a third of its business, for its supermarket home brand milk. The price increase comes as Australian dairy farmers are expected to produce the lowest level of milk since the mid-1990s. A growing number of dairy farmers are exiting the industry, saying it costs more to produce the milk than they are paid for it. Drought, a downturn in crucial export markets, and high feed, water and electricity prices have made it difficult for farmers to compete since a global downturn in mid-2016. Dairy farmer Vanessa Todd, a Coles supplier based in Bodalla in NSW, said it had been a long time coming. "I think it's fantastic, it's what farmers have been pushing for for a long time. It's soul destroying to see your product sold at such a low price," she said. "I'm not sure what the increase in price will mean to me, but it's farmers that have to keep the pressure on processors to make sure this will be passed on in full to farmers. Whether the change had come through lobbying from politicians, consumers or processors, Ms Todd said the change has been led by farmers. "I think it's continuous lobbying from a small group of dairy farmers who have been knocking on doors, working behind the scenes and saying 'you cannot keep undervaluing our product'," she said. "There needs to be huge structural change to the Australian dairy industry. "If we don't see a change in the structure in the way dairy farmers are paid we will continue to see milk prices fall and dairy farmers leaving the industry." Southern Queensland dairy farmer Peter Garrett said today was a historic day. "It's the first step of what needs to be an industry wide reform towards a more sustainable price," he said. "Ten cents isn't going to do it long term, but it's certainly a huge shot in the arm for the dairy industry. "We're not saying it's the absolute saviour of the industry, but it is certainly the saviour of farms here and now as it helps people see a future beyond the next two or three months and continue farming hopefully." Mr Garrett said it will help cover some of his increased feed costs due to the drought. "I think it [the price increase] takes out about a third of my daily costs of feeding my cows," he said. "I'm not sure it gets us back in the black yet, but it certainly gets our head well above the water and gives us a bit of breathing room so we can step back and make considered decisions going forward." 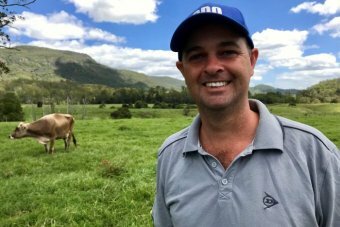 Queensland Dairy Farmers vice-president Matthew Trace said the news was absolutely fantastic and a game changer for the northern dairy industry, which focuses on fresh milk. "It's a bit surreal … when you've been fighting such a tough battle for so long and so many people, including some farmers, said 'you won't beat them, you can't beat them, they're stronger than the government'," he said. "Yet I think we've shown by working with consumers we have been able to defeat the retailers. It just shows what power consumers have." 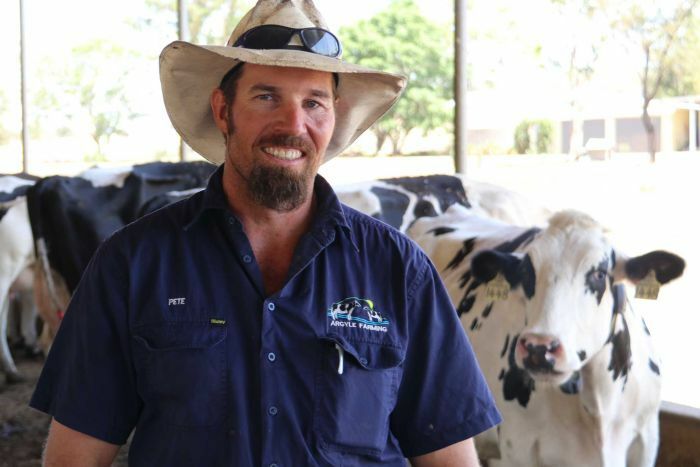 He said he hoped the change will convince farmers to stick with the industry after the number of Queensland dairy farms dropped from 700 to 360 in recent years. "It's been absolutely devastating in Queensland. We've virtually lost one in two dairy farms and unfortunately these price rises now can't bring them back," he said. Feed prices have also spiralled because of the drought, and it is hoped the price rise will make a big difference. "It's different from farm to farm, but this money will put some farmers back in the black and being able to pay their bills," Mr Trace said. "I've heard some talk of up to 20 cents a litre that their costs have increased. "It's not as though everyone's going to be out there making money and going 'fantastic', but what it does do is it gives us a chance to farm." Changes to the Environmental Protection (Great Barrier Reef Protection Measures) and Other Legislation Amendment Bill 2019 – a synopsis. The focus remains on improving the water quality of the Great Barrier Reef which is one of the Queensland Governments six priorities under Our Future State: Advancing Queensland’s Priorities. The key focus is practices that will limit runoff from land-based agricultural and industrial land uses. Our vigilance towards self-regulation remains a cornerstone to minimising the impact as well as continually working towards applying innovation and good management decision in those on-farm practices that influence nutrient runoff and sediment load.